Breakfast is largely a personal affair, spent in the comfort of your own home, with you in wrinkled pajamas, your hair all tousled and eyes barely open. Still, having breakfast outside your home has its own charm and when it’s at a place like Cafe Breton, it’s worth the shower and the drive. A lot of times, I forget the names of what I order. After all, before my morning coffee, I’m little more than sleepwalking. 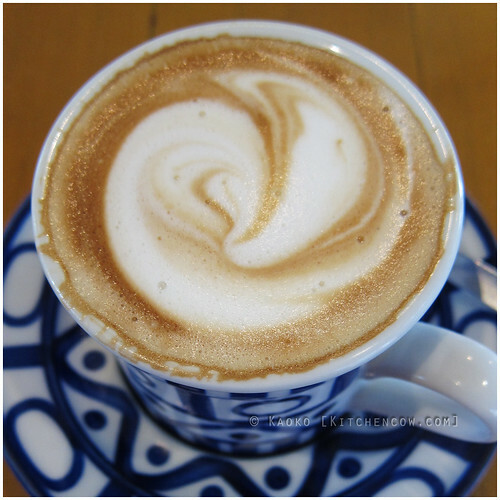 But I remember slowly waking up to delightful flavors and aromatic coffee. With that, a smile spreads slowly across my face. Or perhaps you’d prefer some Hungarian Sausage? After all, how many times are you welcomed by a helping of rustic smoked bacon and an egg, nestled on a folded galette and served with boiled tomatoes? 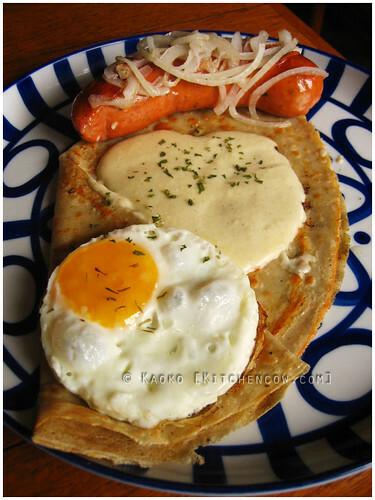 Or an equally wonderful galette topped with a large hungarian sausage, an egg, and cheese sauce? I don’t know why but despite the abundance of fried meat, neither dish makes me feel woozy afterwards. All you get is energy and a brilliant day ahead of you, instead of the lethargy you can get from too much oil, too early in the morning. Who said crepes had to be sweet? At this point, you can already tell that I like my breakfast savory. 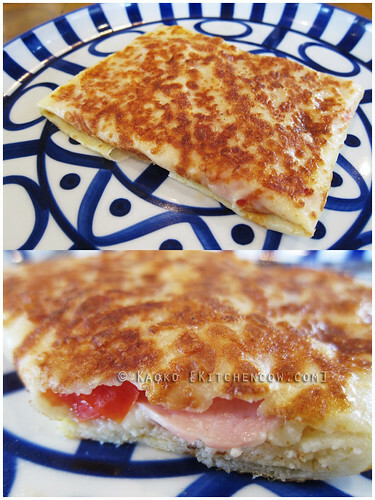 Another favorite is the ham, tomato, cheese and garlic crepe. Creamy, chewy cheese, flavorful meat and refreshing tomatoes, finished with a bite of garlic. Sometimes I wonder how such simple ingredients can create such perfection. Can’t be a complete breakfast without coffee. No matter what you order, there are a few rules to follow. Eat slowly. Savor every bite. Soak up the languid ambiance. Drink your coffee hot. Laugh with your companions. Share a bite from each plate. Smile. Then remember that your wonderful morning deserves to be followed by an even better day. Breakfast enjoyed at Cafe Breton Westgate Alabang. Call them at 771-1214. Not a morning person either so yeah, a breakfast restaurant is a welcome thing with me too. That breakfast looks amazing. 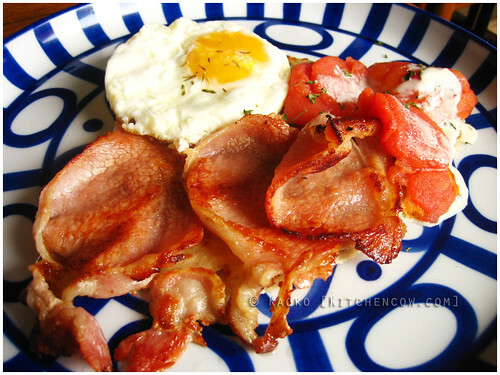 I’m suddenly wishing I can wake up to a large plate of bacon tomorrow too.